This is a world where virtually anything can be accomplished online (or with a computer in general), and when it comes to viruses, there are plenty to go around. Viruses fit under the ever-expanding umbrella of malware, otherwise referred to as malicious software, is loosely defined as any potentially unwanted or unsavory software. There’s a plethora of software which is considered malware, yet much of it isn’t described as harmful. It could be as simple as a reoccurring pop-up ad, which can be caused by adware. It should be noted that there are also many other forms of malware which can quickly wreak havoc on computer systems. Computer systems, (at home or at work) are the front line in cyber warfare against the majority. Those on the home front are especially vulnerable. Because malware consists of such a broad range of software, it’s incredibly easy to call an item malware. So, here are a few tips for identifying and removing malware along with a couple of programs that can help and are free-to-use. Especially in the wake of the Equifax scandal, everyone should be at Defcon-1 in regards to efforts in upholding cybersecurity. Never open emails of suspicious-looking subject matter nor questionable origin, ever! Here lies a possible outcome. Emails may be spoofed to the degree of identicality to that of an email you would receive under ordinary circumstances, say, from a colleague. Some may contain ill-disposed code which may download malware from the internet without the user’s knowledge. This is known as a drive-by-download attack. Or if you are using an unpatched browser, this could trigger a buffer overflow flaw and thus allow for remote code execution on exploited by an attacker. Alternatively, malignant mail can and are more often part of a social engineering campaign. Social engineering is essentially what a con-artist practices, the art of the scam. Assuming that there is such a computer which is deemed unhackable, people are and always have been, the weakest link. This is why learning the safeguards of technology is paramount. Remember clicking on the part of the webpage that seemed like it was empty, only to find another window pop up? Of course, that’s called clickjacking. Usually, it just brings up ads, but this could easily take a turn for the worst. Clickjacking is an enormous annoyance, but it clearly presents a potential safety risk. For instance, what if one of those clicks opened the window to a drive-by ransomware download. Bad news, right? If you use Google Chrome, you’ve probably seen the dangerous site warning at some point in time. If you get this error, heed their warning. Sometimes this warning can be a false positive, although it’s better to be safe than sorry. In general, look for sites that use Hypertext Transfer Protocol Secure (HTTPS). This may seem like a no-brainer, but it’s true, always be careful what is downloaded to your machine. This isn’t just about programs; it applies to PDFs, shell scripts, images, videos, java, adobe plugins, and much more. Even though browsers like google chrome are okay with alerting the user about downloads, that’s not enough. Neither is Windows Defender! 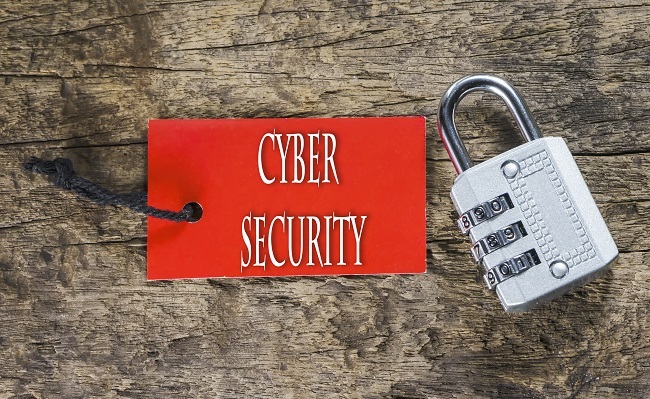 Norton Security and Malwarebytes both do a great job of handling cyber threats. SpyHunter also does a great job, but it (the unpaid version) is VERY manual. This is a turn-off to many users. The upside is that it detects all sorts of bugs and annoyances that you probably don’t want. If you desire professional assistance in malware avoidance, please do not hesitate to contact us. The hardest part (arguably) of upgrading a computers internals, is finding which of the components are compatible with your system. However going to all that trouble can go to waste if you don’t follow a certain list of steps while installing them. There are only five steps required in order to upgrade your computer properly. All of these steps are to prevent the humbling, painful, and expensive experience involved in breaking one of the components. First of all turn your computer COMPLETELY off. You should also unplug the power cord, and if you are using a desktop, any other cords or cables. The second step will be to properly get rid of any static electricity. You can simply just touch a metal object that is properly grounded or you can touch the metal frame of your computer. If this doesn’t reassure you completely, then you can get an Anti-Static wrist band. 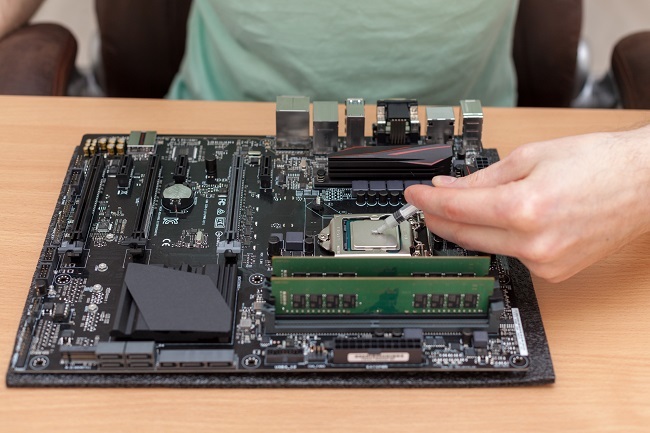 Thirdly after you have opened up your computer (without breaking anything hopefully), you should check the components you will be installing for any manufacturing defects or damage. Also be very gentle while handling any computer parts, especially processors as the pins on the bottom are easily bent or broken. Now fourthly when you install the processor or memory never force it in there as computer components are very fragile. Be extremely careful when it comes to the processor, since as mentioned before the pins are almost ridiculously fragile. The pins should fit right into the sockets very smoothly. If something doesn’t fit perfectly, simply check the pins make sure they’re not bent or damaged, then check if the socket is open. If it still doesn’t fit even after a bit of trouble shooting, then you may have the wrong component for your system. Fifthly, and finally make sure after completely re-assembling your computer, that you computer recognizes the hardware. This is mainly for RAM/memory and here’s a good guide on how to find that. If all these steps seem like too much or you would rather someone with professional experience install your computer parts for you, contact us for a quick estimate.